Before the CARD Act in 2009, credit card companies had no written guidelines as to how to apply your payments each month. In fact, each card issuer had their own set of rules. While this shouldn’t be an issue if you pay your balance off in full each month, it does become an issue if you transferred a balance and made a subsequent purchase on that card. Let’s look at how credit card payments are applied. Thanks to the CARD Act of 2009, credit card companies now have guidelines as to how to apply your monthly payments. They are required to put anything over the minimum monthly payment to the balance with the highest interest rate. Let’s look at an example. Assume we have a credit card with a $500 balance from a balance transfer. The interest rate is 0%. We also have a charge on the card for $100 that has an interest rate of 18%. Our minimum payment is $100. B) The balance transfer offer ends and if it has a higher interest rate compared to the purchase. This application of payments benefits the consumer in helping them get out of debt more quickly. 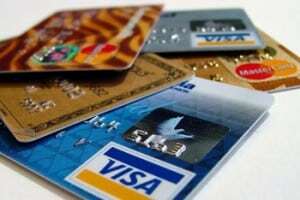 Before the CARD Act, many credit card companies would simply apply any extra payments to the lowest interest rate first, which allows them to charge you more interest and obviously make more money. Note that if you have multiple balance transfer offers on one card or have various charges that have the same interest rate, the CARD Act does not instruct the credit card issuer as to how to apply the extra payment. It only covers the extra payment in the event of various interest rates. The best option you have is to not charge any purchases to a card that you have a low interest balance transfer on. This clears up any confusion or issue you might encounter with applying extra payments. While any extra payment does go towards the higher interest balance first, I don’t want to have to wonder if that is actually happening or take the time to do the math myself. Understanding how payments to your credit card balance are applied goes a long way into helping you get out of debt and save money. The less interest you pay, the more you save and the less interest you pay, the quicker you can pay down any balance you may have. Of course, the ideal situation is that you don’t have a credit card balance in the first place. But if you do, take this lesson with you as you get yourself out of debt and onto better financial ground.